Russian businessman Viktor Bout, who was sentenced to 25 years in prison in the US, in an interview to Sputnik commented on his punishment for an RT interview and spoke about the political preferences of his cellmates. 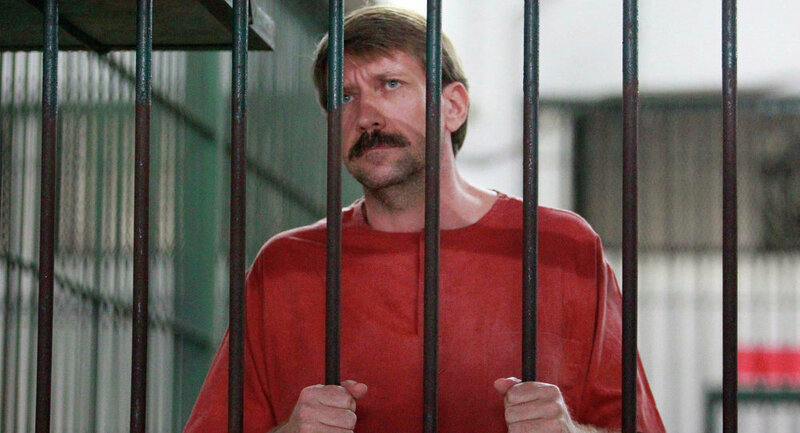 BANGKOK (Sputnik) — Russian businessman Viktor Bout, currently incarcerated in the United States, told Sputnik he expected to be transferred back to a one-person cell within several months. Last month, Bout was transferred to a three-person cell, two months after he had been prohibited from having telephone calls for two months and 15 days had been added to his’s 25-year prison sentence. The restrictions followed Bout’s phone call with an RT reporter, who had not been included in the Russian businessman’s list of approved contacts. He pointed out that the accommodation in three-person cells was not regarded by him as a punishment. "It is of course more comfortable in a one-person cell… but sometimes it is necessary to spend 24 hours with other people so I regard this period of imprisonment as a new experience. I often talk to one of my cellmates, he is actively interested in politics," Bout noted, adding that the three-person cell is equipped with an air conditioner. According to the Russian businessman, many prisoners of the US Penitentiary Marion are "supporting Donald Trump and slamming the Democrats for what they have done here and in the whole United States during their rule," adding that many of them do not accept the deterioration of relations between Moscow and Washington and regard it as "something senseless and unclear." Many prisoners want to leave the United States after their release and had asked him whether they could be accepted in Russia with a criminal conviction, Bout said, noting that he had advised them to try to apply for a Russian visa. Bout also told Sputnik he was studying drawing in the prison as well as giving cellmates Russian language lessons. In May 2016, the judge, who sentenced Bout, said that the verdict in his case was excessive and inappropriate, adding that the arrest took place after a false-flag intelligence operation against Bout.